And you thought Maruti 800 was dead? The entire Shillong runs on Maruti 800. Refurbished. Repaired. Re-repaired. But they are Maruti 800s. 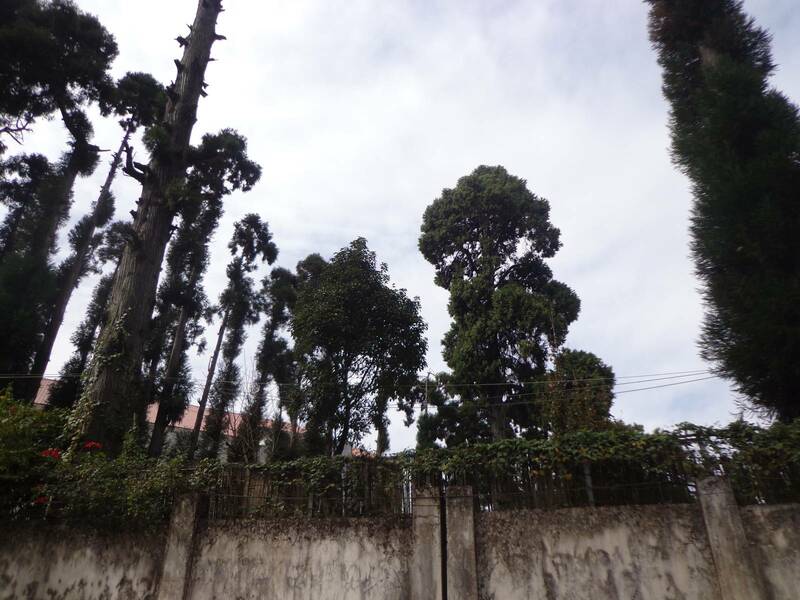 It appeared to me that all the Maruti 800s that had been decommissioned by the factory and disowned by their owners, landed up on Butcher Road in Shillong, and started their new life as shared cab service in and around Shillong. 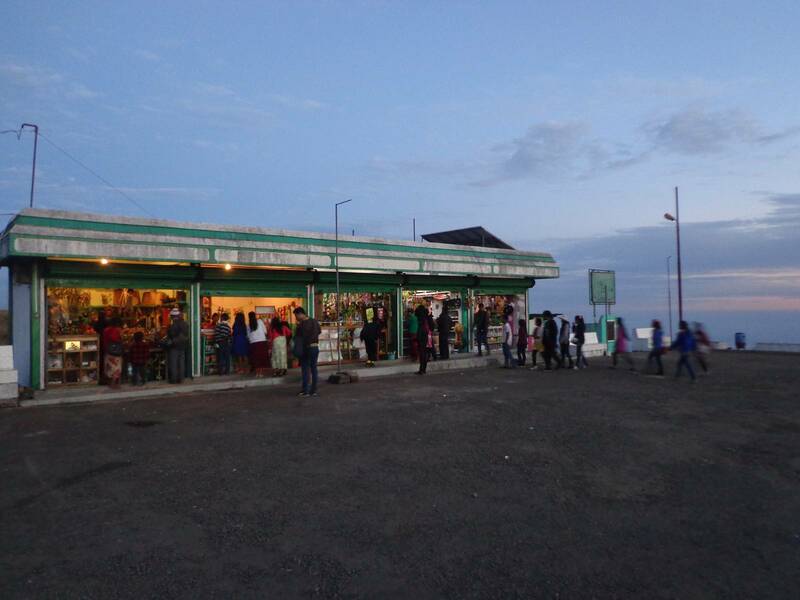 For a mere 10 rupees one can travel from anywhere to anywhere in Shillong. Maruti 800s in taxi stand at Anjali. 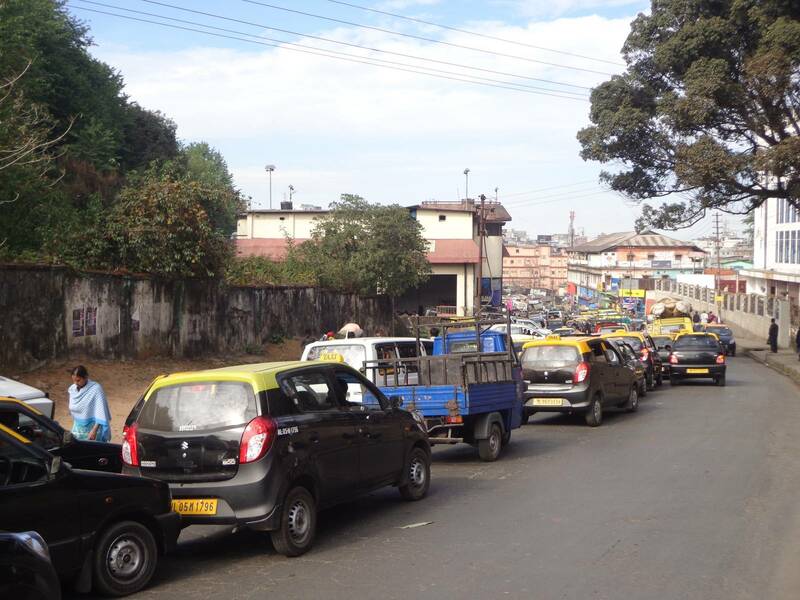 A series of Maruti 800s were held up by a jam in Shillong. 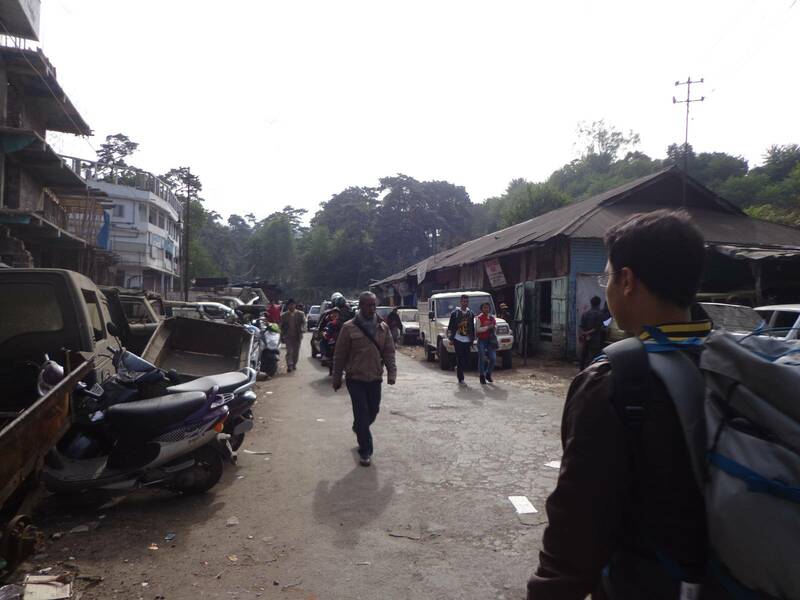 A view of Butcher Road in Shillong where most of the repair and refurbishment of cars take place. These Maruti 800s are everywhere and contribute to the unusual vehicle density in Shillong. The traffic scenario is so bad that we decided to walk from Police Bazaar to Anjali Bus Stand and it took us 30 minutes to and fro. Had we taken a cab, it would have taken us more than two hours. 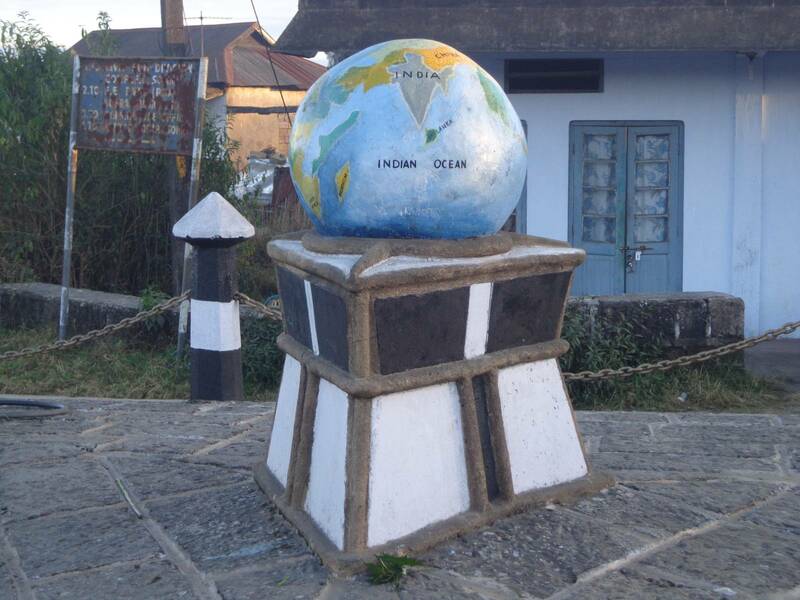 Needless to say, that there are walk-able shortcuts that reduce the distance between two points when compared to the distance via motorable road between the same two points. Shortcuts like this through the cantonment area are really picturesque and are well worth the walk. 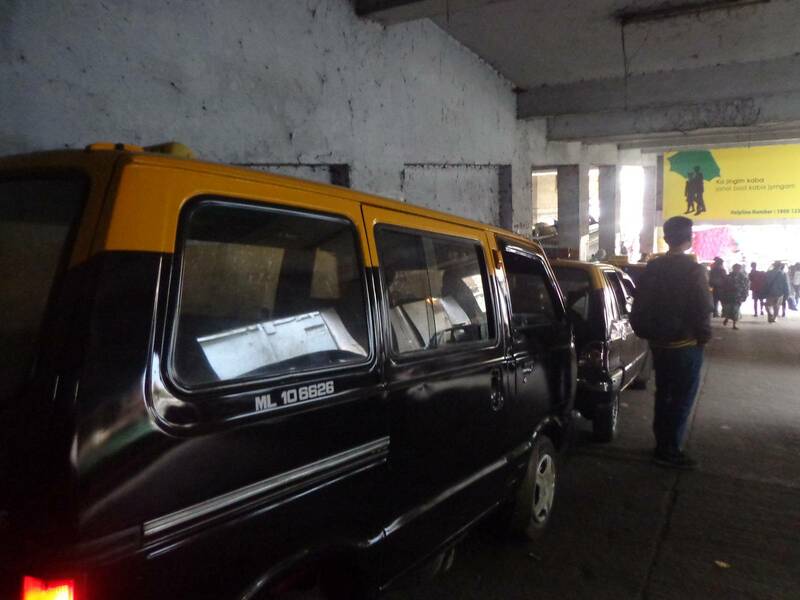 These used cabs are well utilised in Shillong, but once their residual strength is squeezed out, they are used as main means of transportation in smaller places like Cherrapunjee. Gettting out of Shillong and landing in Cherrapunjee is a tricky thing if you are not aware of the modes of transport available. 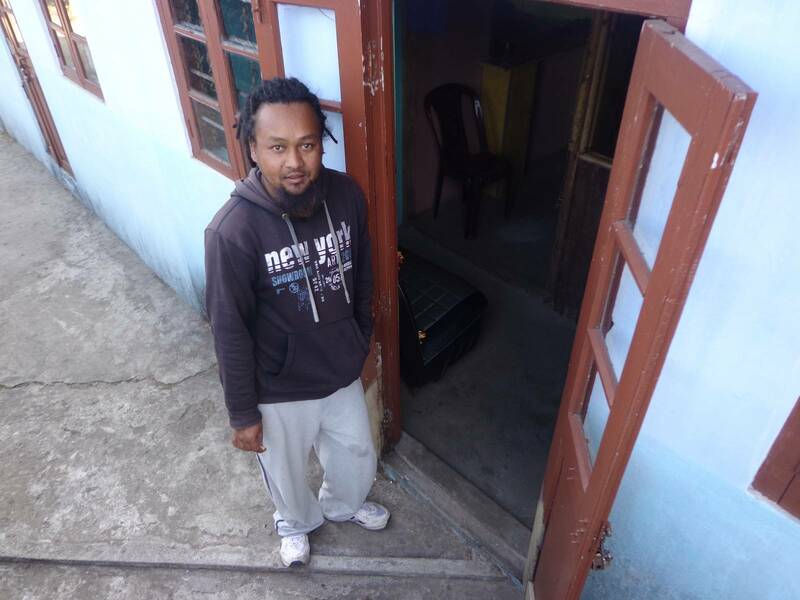 We asked our hotel manager in Shillong who suggested us to go to Anjali Bus Stand to avail shared cab services. Then we approached our room service boy who said that the state transport buses left by 8 O’clock and it was unlikely that we would get a bus. Also, he mentioned that the bus service needed a prior booking. Our only hope at that time was a reserved vehicle. Driver A: Where do you want to go? Driver A: I will show you around the important five spots and drop you there for 1200. If you want to get back, roundtrip will cost you 2000. Us: Okay, let us do some shopping. We will get back to you. Us: (Noting down his phone no.) Ok.
Driver B: Sir, I will show you ten important spots. The usual fare is 1200 but you can pay me 1000 only. If you want a roundtrip, I will do it for 1800. Please note down my phone number. Driver C: Sir, how much is driver A a B charging? I can take you there for much less. In fact, this made us realise that that our hotel manager was right. We could easily cover this one and half hour journey for 70 rupees only. We ended up taking a shared taxi from Anjali Bus Stand for a mere 70 rupees. If you are a backpacker, nothing can be better than By The Way, a small dorm run by Haprit. He charges only 250 per bed and the rooms are cleaner than the hotel rooms we had occupied in Guwahati and Shillong. Haprit also shared a photocopied, hand drawn map and explained the various places we can visit. Haprit in front of one of the dorms. 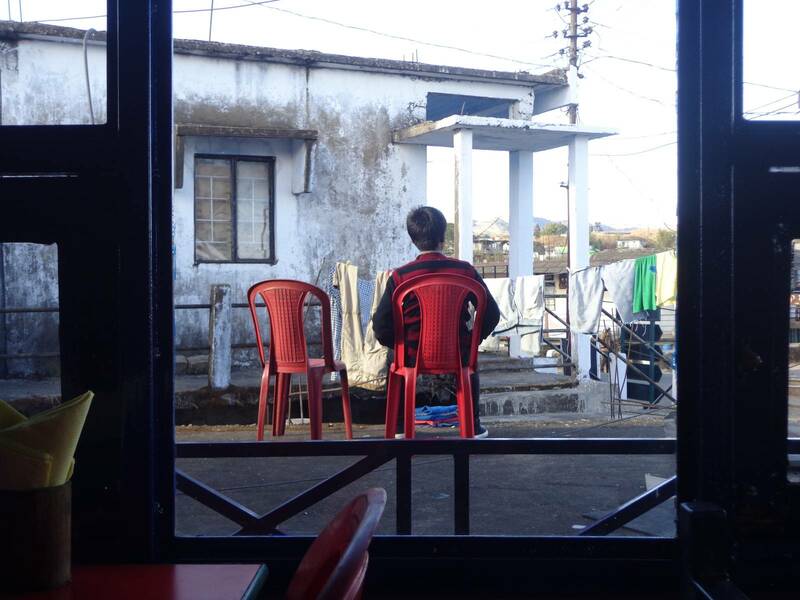 By the time we settled in Cherrapunjee, it was already quite late and we ended up having our lunch at a nearby restaurant. 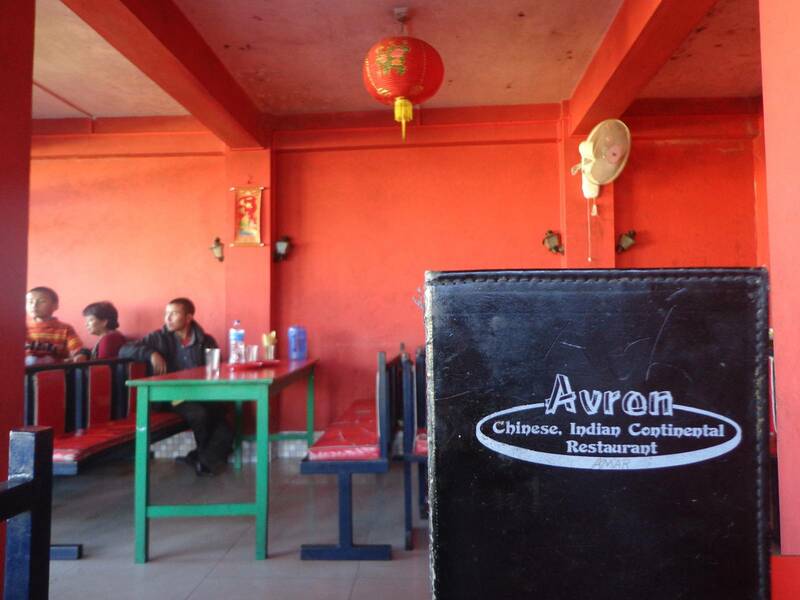 Avron Restaurtant had a thick menu with lot of Indian and Tibetan items. A view from the window of the restaurant. 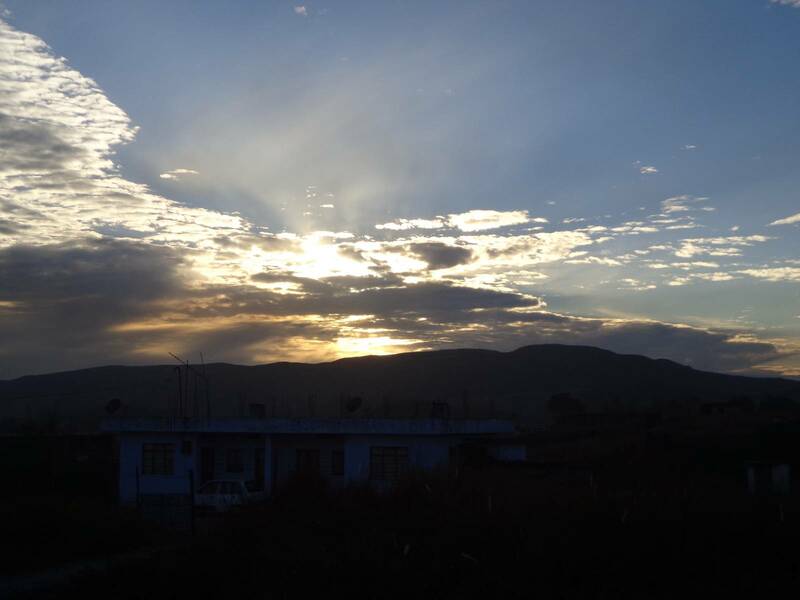 Cherrapunjee is a poorer place as compared to Shillong. It is barely a town. A ten minutes walk landed us in an agrarian landscape. However, the food prices are comparable to that in Shillong. I guess that the poor connectivity contributes to the inflated price. 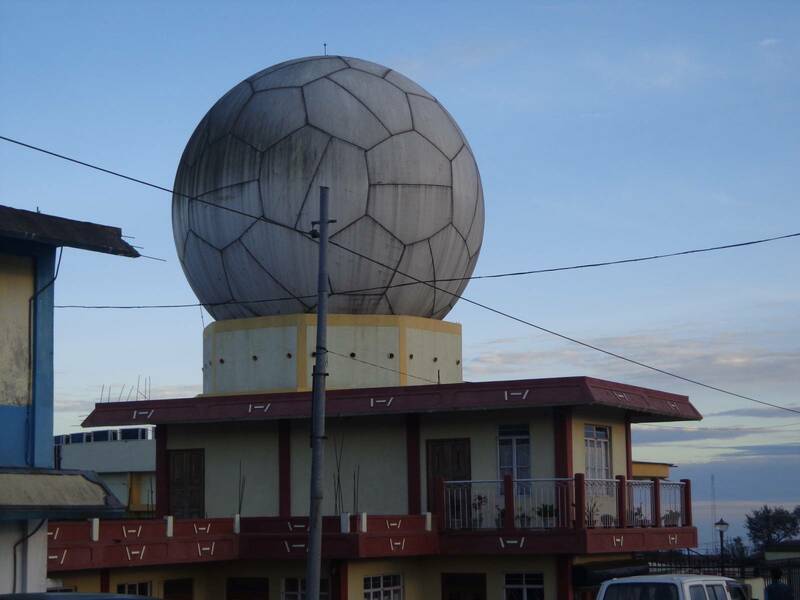 The dome of meteorological department in Cherrapunjee. Shops at Eco Park. They are there to cater the school kids and the tourists. A panorama of the view point at Eco Park. 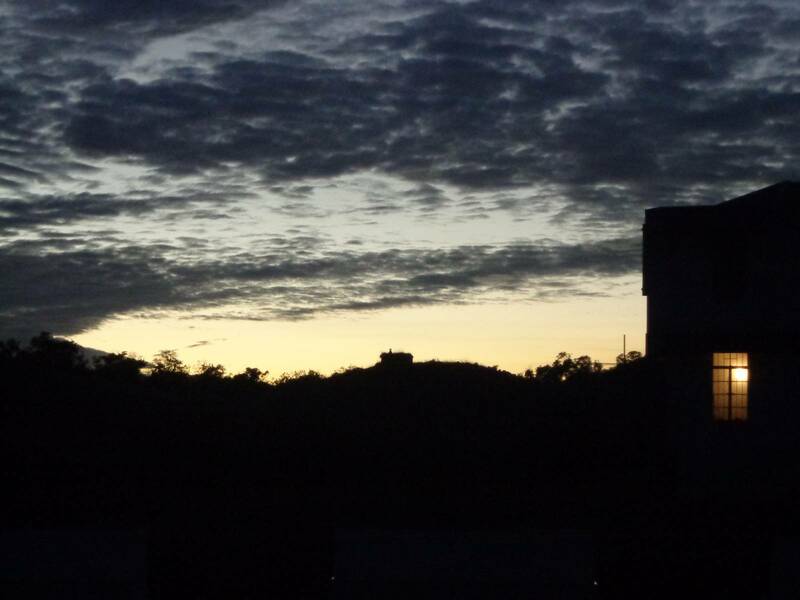 After sunset, the atmosphere is magical (and cold). Later we took a shared cab to Eco Park. A group of school kids had their excursion / outing. They were busy playing loud music in the bus and dancing. The water bodies that form the main attraction had already dried up by October and there was nothing interesting to observe. Haprit escorted us to a two day music fest called Shine-A-Light. The owner explained that he was not making any money out of this. He spent over two lakh in setting up the sound and lights and even the 500 rupee entry fee wouldn’t earn him back his investment. We also met two guys who shared the dorms at By the Way. The first was a German named Benno, who has been touring since October, and the other was a Tamilian called Gowri Sankar, who is on leave for two months and is travelling for the first time alone. We ended up sharing a cab to the fest. Four bands took the stage for the night. The first band, which played Assamese original composition (ESP from Jorhat), was really interesting. I was very impressed by their bass guitarist. The rest three were also good but the fusion of Assamese folk and rock of the first band sounded the best. 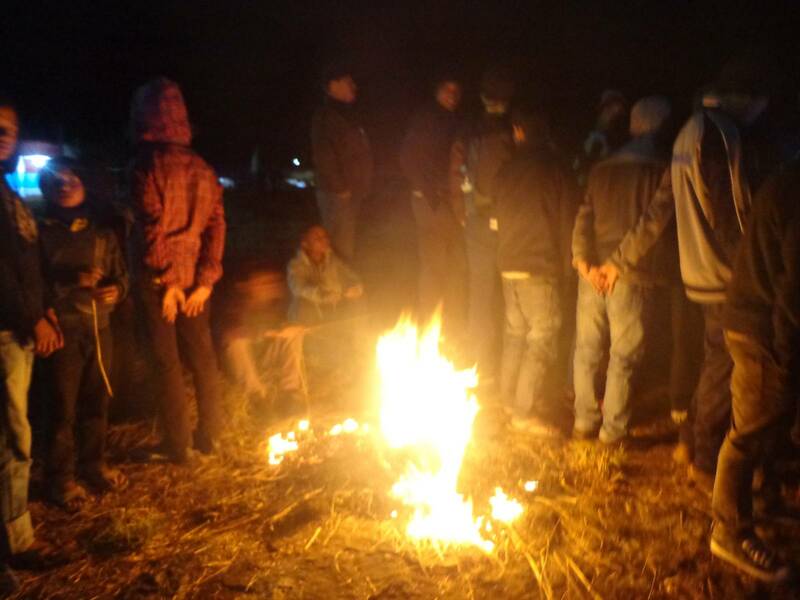 Localites enjoying the music beside a bonfire. They had to pay only 200 as compared us outsiders, who paid 500 each. I don’t know the name of this band but their ESP‘s fusion of Assamese folk and rock was a treat. It was already 9:30 by the time we got this information. Hence, travelling by bus was out of the question. There are two terminus buildings in Anjali Bus Stop. Maxi cabs for Cherrapunjee carry ten people and depart from the first floor of the second building. 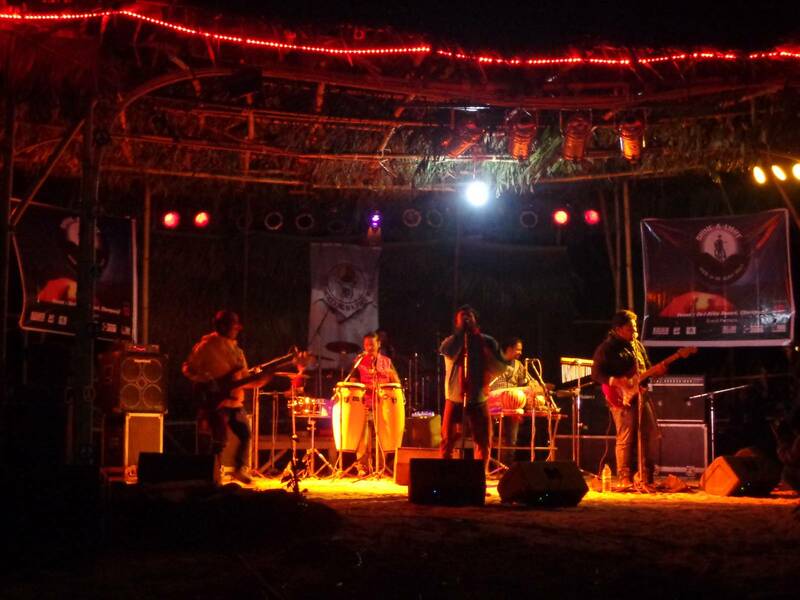 As an ex-touring musician, I know that there is not much money in the Indian amateur music circuit. The bands were just given transportation costs.